Barring an improbable playoff series, the Blackhawks will make their final visit to Joe Louis Arena this Friday, and it will be the most expensive game in the NHL this week. The Bruins, Canucks and Maple Leafs will also host top-priced games through the weekend. The Red Wings and Petr Mrazek, who are returning home for a two-game homestand on Saturday, are 7-0 in shootout games heading into the week this season, but have struggled in most of their other contests. They will need to make it to a shootout if they want to have a strong chance at defeating the visiting Blackhawks, who are currently on a seven-game winning streak. Red Wings tickets against the Blackhawks currently average $328 and the get-in price is $133, as Chicago looks to sweep the season series. The Bruins have continued to play well, as they own a positive 10-goal differential and the third spot in the Atlantic Division heading into the week. Meanwhile, the Flyers will need some luck, as they attempt to improve their negative 26-goal differential in their hunt for the playoffs. 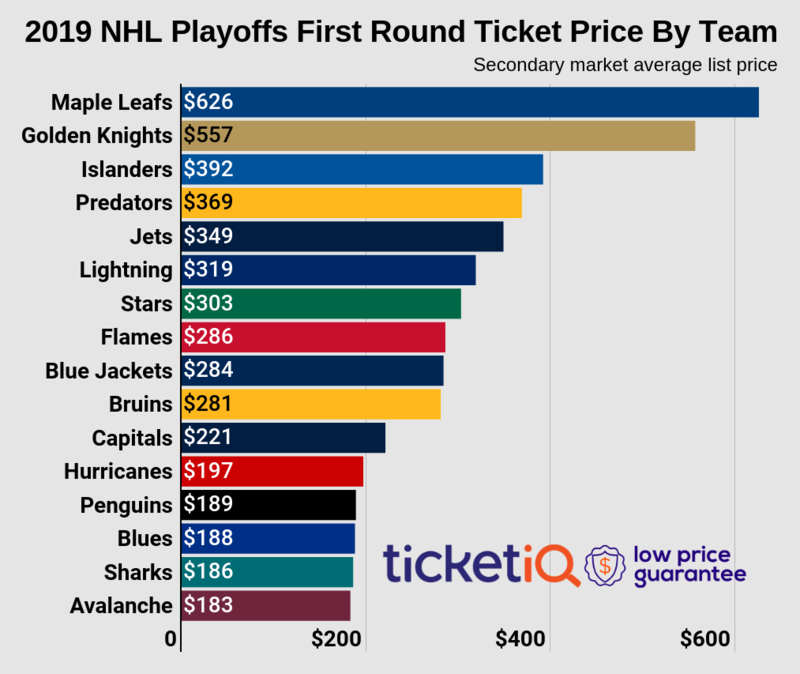 Bruins tickets on TicketIQ currently average $290, and the cheapest available tickets start from $120 each. Each team has the chance to win the season series with a victory on Saturday. For the second time within 30 days, the Canucks and Penguins will face off; this time, they will meet in Vancouver, as the Canucks seek revenge. Pittsburgh outshot Bo Horvath and company by 13 in the 4-0 victory. Canucks tickets at Rogers Arena currently average $276, and the cheapest available tickets start from $91 each. Evgeni Malkin and Phil Kessel look to continue scoring against the Canucks on Saturday. On Tuesday, the Canadiens will bring their five-game winning streak into the second contest of their road trip. Meanwhile, Vancouver is attempting to bring its record back to .500 on the season. Canucks tickets on TicketIQ currently average $262, and the cheapest available tickets start from $87 each. Montreal will look to double Vancouver’s shots like it did in November, as the Canadiens look to sweep the season series. Before the Flyers head to Boston, they will play the third contest of their four-game road trip in Canada. Goalie Michal Neuvirth sent away 27 of Toronto’s 28 shots in their previous meeting, a 2-1 Flyers victory over the visiting Maple Leafs on January 26. Maple Leafs tickets at Air Canada Centre currently average $251 with the $88 get-in price. Toronto will look for revenge in its attempt to win the season series.